One of the most common questions every OWI attorney is asked is whether or not it was legal for the police to stop or search a vehicle in the first place during a drunk driving or OWI investigation, or other traffic stop. While the answer to this question can get complicated as it’s rooted within our state and federal case laws, the reality is that every individual traffic stop should be examined on its own to determine if a search was carried out legally by police. Generally speaking, a search warrant is required to search you or your property in Wisconsin. However, when it comes to vehicle searches, many people across the state don't realize police only need probable cause to carry out a search on their own. To help protect your rights, it's important to understand what constitutes probable cause in Wisconsin and what police might look for to establish probable cause. If you're facing criminal charges after a traffic stop in Wisconsin, it's important to consult a skilled and proven OWI Defense Attorney to discuss the details of your case. Reasonable suspicion in Wisconsin, or “probable cause” as it is commonly known, is an intentionally vague term. The meaning of probable cause under Wisconsin law isn't defined with great detail, leaving the question of whether or not a search was legal up to the discretion of law enforcement in most circumstances. Because of this, any criminal charges resulting from a search based on probable cause in Wisconsin should be evaluated on a base-by-case basis. Still, probable cause in Wisconsin does require police have at least some facts or evidence to believe you were involved in a criminal activity one way or another––it can’t simply appear from nothing. If you were arrested due to probable cause in Wisconsin, it's important to discuss the details of your case with a knowledgeable and experienced criminal defense attorney. For important information to keep in mind during a drunk driving stop, read the article, "Checklist: What to Do if You're Pulled Over for OWI in Wisconsin" by Stangl Law. Because state law does not offer a clear definition of probable cause in Wisconsin statutes, police are left greatly to their discretion when establishing probable or reasonable suspicion. As a result, it's important to be informed of your rights during traffic stops and other police investigations to avoid potential pitfalls, such as the following. If you’re pulled over on nothing but an officer’s “hunch,” probable cause certainly hasn’t been established. The officer must observe something real to clue him into a suspicious activity. 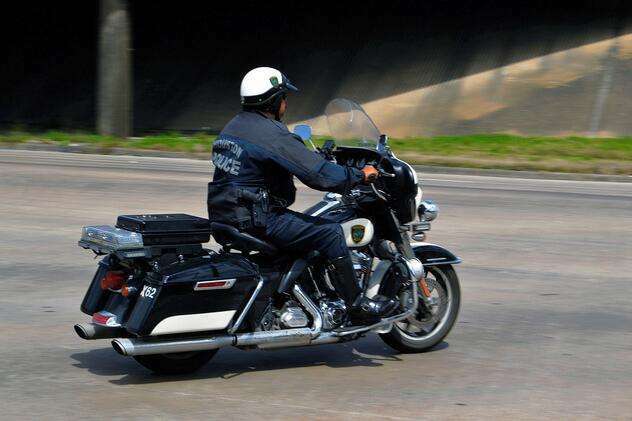 Cues which police might use to support probable cause are largely subjective and can include the sight or smell of some kind of contraband like alcohol or other drugs, or more broadly, your ability to safely drive the vehicle. Driving behavior such as swerving, weaving, and other erratic and potentially dangerous activity on the road all common examples of what can constitute probable cause in cases of OWI in Wisconsin. 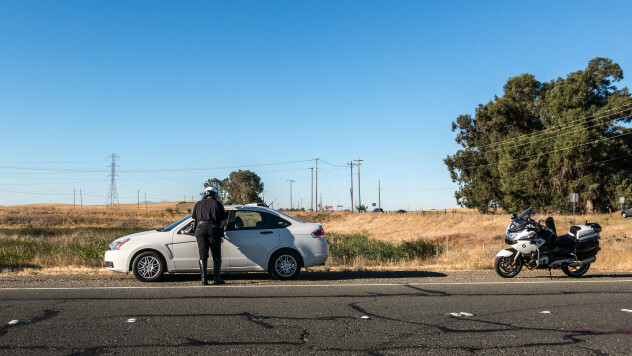 Since these actions could be the result of many factors from nerves to a health condition, it's important to consult a skilled OWI attorney if you're facing charges in connection to a traffic stop based on probable cause. A common method police use to support their hunches during drunk driving stops in Wisconsin is to ask drivers to take field sobriety tests. Since the results of these tests are notoriously inaccurate based on their subjectivity and a number of environmental and situational factors, it's important to remember you have the right to refuse these tests in the field, unless you have a commercial drivers license. The Ill-Advised "Admission of Guilt"
Another way probable cause is established is though the establishment of evidence, often resulting from a defendant's actions, choice of words or voluntary participation. The police will interpret your words and actions as admissions of guilt, regardless of how subtle they may be. If you’ve ever been pulled over for a traffic stop before, you may have experienced this very quickly after the officer approaches your car and begins asking questions like, "Do you know why I stopped you?" Or, "Have you been drinking tonight?" While they may seem cordial in their delivery and intent, these questions aren’t small talk. Even the common, “do you know why I pulled you over tonight?” is a thinly veiled attempt to solicit an admission of guilt directly from you. If you're facing drunk driving or drug charges in Madison or elsewhere across the state which resulted from a police search and seizure, you should discuss your case with a skilled Wisconsin drug defense lawyer. Can Police Search My Person During a Traffic Stop? If police conduct a lawful arrest after pulling you over, it’s almost certain they will proceed to search your person. This is a lawful act as it’s an exception to the Fourth Amendment’s warrant requirement protecting citizens against unreasonable search and seizure. In fact, under this amendment, this sort of search is actually considered a “reasonable” one. Conduct a search of the vehicle if the officer establishes probable cause that the officer believes the car might contain illegal substances or items. It’s important for all drivers to be aware of what law enforcement officers can and cannot do to those using Wisconsin’s roads. Above all, it’s crucial to realize that vehicle searches don’t carry the same requirements of other types of property. If you or someone you know has reason to believe they’ve been pulled over and/or searched illegally, it’s crucially important to contact an experienced criminal defense attorney today. Nationally-recognized OWI Defense Attorney Patrick J. Stangl has been providing skillful defense for clients charged with DUI, DWI, OWI, BAC, PAC and other alcohol-related charges, drug offenses, weapons crimes and more across the state of Wisconsin. Attorney Stangl is happy to offer without cost or obligation, insight into your case based upon his experience in criminal defense since 1991 through a FREE 15-minute consultation. If you've been charged with operating under the influence or another crime in Wisconsin, simply click below to request your FREE 15-minute consutation with Attorney Stangl.